In these tough economic times, even SUVs are getting redesigned and resized for a more frugal clientele. As an alternative to the gas-guzzling glory of its Range Rover Sport, Land Rover introduced its 2012 Range Rover Evoque, a 5-door luxury vehicle for those upscale urban drivers that just can't justify the usual price point anymore. Don't worry, it's still big and bad — it's just a little more sensible for city/rural driving than its monstrous cousins. It has a hefty 2.0-liter turbocharged direct-injection 4-cylinder engine with a 6-speed manual transmission that can generate about 240 hp, and it can also cross a 20-inch stream. 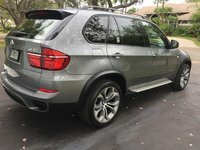 But it's really designed more for navigating around town in harsh Northeast winters than daring or extreme off-road conditions. For one thing, the customary 4-wheel drive (4WD) of larger SUVs has been amended to all-wheel drive (AWD), with rearward-biased handling — it’s handled with a Jaguar-like dial on the dash. The Evoque is also about 1,600 pounds lighter than larger Range Rovers, which translates into better handling through turns and corners than those behemoths. On top of that, it gets a much more wallet-friendly 19 mpg city/28 highway. Land Rover offers the Evoque in both 3-door Coupe and 5-door Hatchback trims. The base Pure trim offers elegant brushed metals and 19-inch sparkle-finish alloy wheels. The Pure Plus trims add features such as 20-inch chrome shadow alloy wheels and surround cameras. A further upgrade to Pure Premium gives you an HDD navigation system. Sliding up to the Dynamic trims adds alloy metals and a stitched leather interior; Dynamic Premium offers Adaptive Dynamics, which automatically adjust your ride according to terrain. Finally, there is the top of the line Prestige, which includes real wood and an Oxford leather interior; you can also add rear-seat entertainment. SUVs can have stability and safety issues, so every Evoque includes 7 airbags, as well as hill descent control, trailer stability assist and Range Rover’s own Terrain Response System, which is controlled by a couple of buttons next to the gear dial that allow you to manually adjust settings for grass, mud, gravel or snow. But there are a few complaints. It's a little noisy and rumble-y at low speeds, and the Evoque’s compact footprint (it’s 16 inches shorter than the Range Rover Sport) compromises hatchback roominess and visibility in the rear. In the front, it can be hard to ascertain the end of the hood, possibly creating parking difficulties until you get used to it. But these are minor annoyances – most are impressed with Land Rover’s foray into this newly emerging class of vehicles. Even if the economy recovers, we will see more of these types of “economical” luxuries, and Land Rover is poised to lead the pack with its Range Rover Evoque. 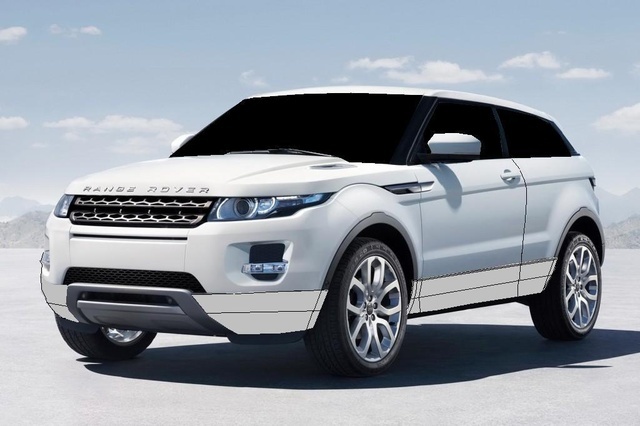 What's your take on the 2012 Land Rover Range Rover Evoque? Have you driven a 2012 Land Rover Range Rover Evoque? Till how many miles a RANGE ROVER EVOQUE will last with if maintained well?